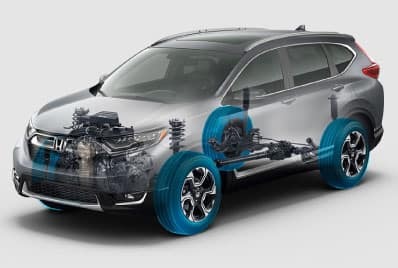 The 2019 CR-V available at Ralph Honda continues to redefine what an SUV can be by delivering a wealth of standard features and conveniences, all backed by the available Honda Sensing® suite of safety and driver-assistive technologies. That’s why it’s part of the Best SUV Line-Up in America. 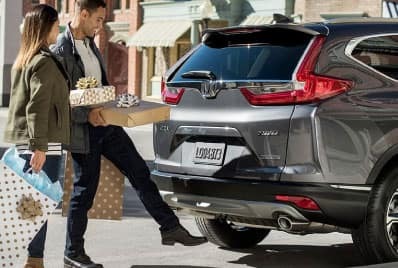 Stop in today at Ralph Honda to test drive the 2019 Honda CR-V! Fill out the form on this page or call us at 585-978-3070. The available Real Time AWD with Intelligent Control System offers excellent handling on rough roads and in snowy conditions, for whenever adventure calls. 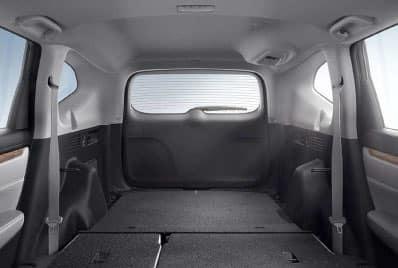 Easy Fold-Flat 60/40 Split Rear seating offers a variety of seating and cargo options to accomodate whoever or whatever you’re taking with you. 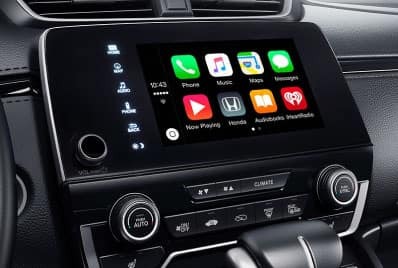 Tap into your iPhone, and get directions, send or receive messages, and access your music library-all through the Display Audio touch-screen. 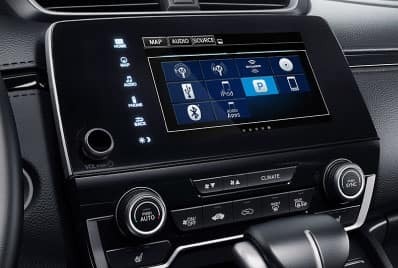 Use your compatible Android phone to access directions, text messages and your music library, all through the Display Audio Touch-Screen. 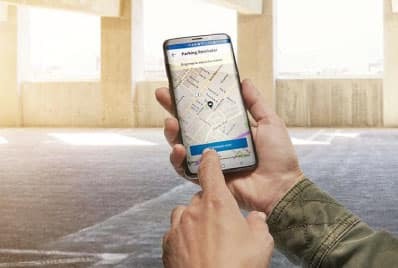 Connecting your compatible mobile device is seamless with HondaLink, making it easy to straem music, receive vehicle notifications and even schedule service appointments. Cross Traffic Monitor uses sensors on the rear bumpers to help detect vehicles approaching from the side whenever you’re in reverse. 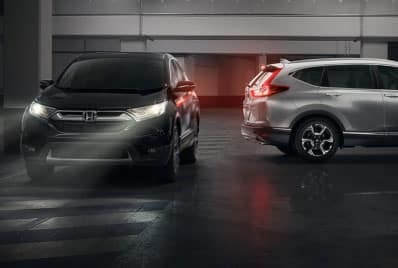 Explore the 2019 Honda CR-V at Ralph Honda Now! See how the CR-V stacks up against the competition, feature by feature. 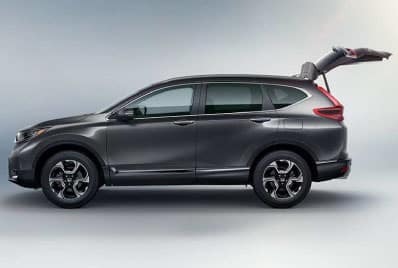 *2019 CR-V LX AWD – MSRP: $26,745 – RW6H3KEW. 36 month closed end lease. $3499 trade or cash down. First payment, $595 acquisition fee, taxes and DMV fees due at signing. 12,000 miles/year. $0.15 overage. To qualified buyers through AHFC. Offer valid through 4/30/2018. 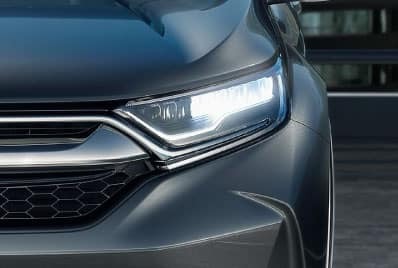 **Special APR offer valid on 2019 CR-V Models to well qualified buyers on approved credit by Honda Financial Services. Must take delivery by 4/30/2019. Not all buyers may qualify. Higher rates apply for buyers with lower credit ratings. Dealers set actual prices. See dealer for details. 1 U.S. News & World Report, November 2017. 2 Carrying too much cargo or improperly storing it can affect the handling, stability and operation of this vehicle. Follow applicable load limits and loading guidelines. 4 The Display Audio Interface is used for direct connection to and streaming from some current smartphones. Some smartphones may not work. Please see your Honda dealer for details. 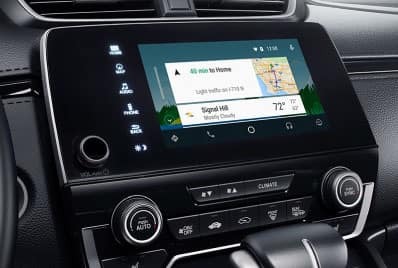 5 Android and Android Auto are trademarks of Google LLC. 6 The Display Audio Interface is used for direct connection to and streaming from some current smartphones. Some smartphones may not work. Please see your Honda dealer for details. 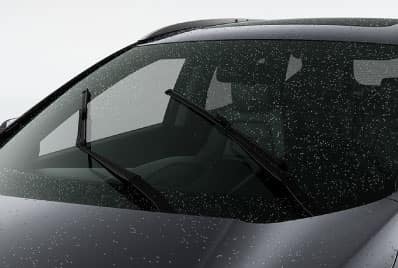 8 Always visually confirm that it is safe to drive before backing up, as the rearview camera and cross traffic monitor may not provide complete information about conditions at the rear of your vehicle. Monitor cannot detect all objects behind or to the side of a vehicle and may not detect a given object; system accuracy will vary based on weather, size of object, and speed. Driver remains responsible for safely operating vehicle and avoiding collisions. 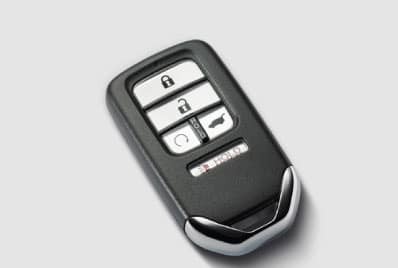 10 Road Departure Mitigation only alerts drivers when lane drift is detected without a turn signal in use and can apply mild steering torque to assist driver in maintaining proper lane position and/or brake pressure to slow the vehicle’s departure from a detected lane. RDM may not detect all lane markings or lane departures; accuracy will vary based on weather, speed and road condition. System operation affected by extreme interior heat. Driver remains responsible for safely operating vehicle and avoiding collisions. 11 ACC cannot detect all objects ahead and may not detect a given object; accuracy will vary based on weather, speed and other factors. ACC should not be used in heavy traffic, poor weather or on winding roads. Driver remains responsible for safely operating vehicle and avoiding collisions. 12 LKAS only assists driver in maintaining proper lane position when lane markings are identified without a turn signal in use and can only apply mild steering torque to assist. LKAS may not detect all lane markings; accuracy will vary based on weather, speed and road condition. System operation affected by extreme interior heat. Driver remains responsible for safely operating vehicle and avoiding collisions.